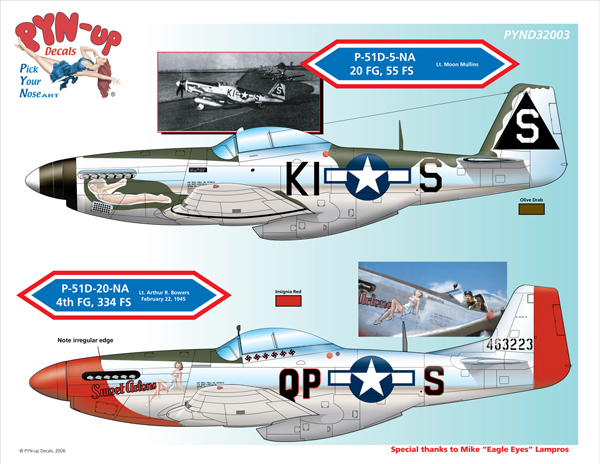 I am in I have started it about 2- 3 weeks ago I am going to do Sweet Arlene a 366 bird I have the cutting edge decals the pyn up ones I bought when they came out( swmbo) is of course named Arlene and If was a WW2 stang driver that is what I would have named the plane. I have gotten Jerry rutmans wheels the rubber tires are not very nice and Sutherlands interior decals for the switches and so on and HGW replacement for the seat belts the rest of the plane will be OOB. For those that have not started it yet you almost do not need glue. It will be alclad painted with some snj polishing powder. I put the spitfire aside I am up to paint on that one. This is better designed as the engine mounts are integral to the sides so there will be not miss mounting issues I think. I will take picture this weekend to post up. I look forward to hearing about the decals you're using. I have same set for a tribute build to my Grandmother. here are some quick pictures of the progress so far like a lot of us I build in subsections and try to do mass painting of one color. BTW Roys cockpit placards are superb. I have to spray some satin coat to even the colors and pick out some more fine detail. The engine is a model in itself. The wheel wells were sprayed in metallic black then rubbed in snj powder. thats off to a great start. The decals look absolutely suberb. Such a great improvement. Nice work. Awesome job so far Dave. image so it's an easy mistake to make. What can one say except that this is exemplary, neat, flawless work so far..I am enjoying this very much..
you are very good clean worker...easy to follow and very sharp photos too...one of nicest Mustang Builds .. I'm following this one very carefully. I'm also in the middle of the Tamiya kit and a number of your really great pics show me what I can add and what I won't be able to add. This one's going to come out beautiful.